We have a really soft spot for the appellation of Savennières. Home to fine white Chenin Blanc wines, full of character and minerality from impossibly shallow top soils sitting above the schist and slate of the Massif Armoricain. 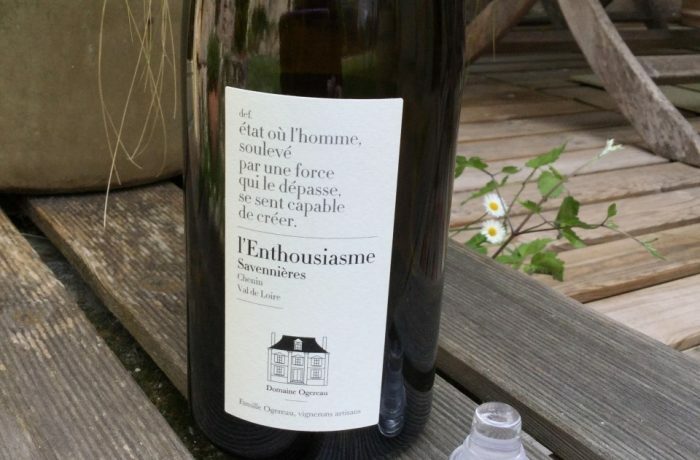 Last night we opened a bottle of L’Enthousiasme 2014 from Domaine Ogereau. 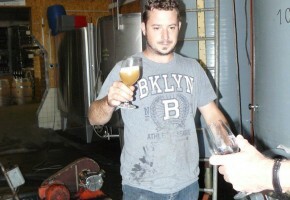 Tiny quantities of this wine were made by Emmanuel Ogereau and it’s a lovely wine. It comes from a parcel called Le Clos Grandpréau and the grapes for this particular wine are planted upon a vein of sandstone that makes up part of the vineyard’s terroir. Discreet and delicately floral on the nose, it has notes of preserved lemon and plums on the palate and then opens up to reveal a big wine with power and structure. 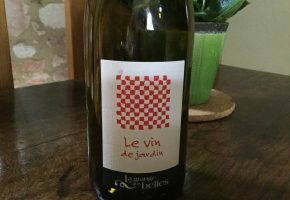 At 14% alcohol it packs quite a punch although this is not unusual for the wines of Savennières that must be hand picked and in at least 2 passes through the vineyard. 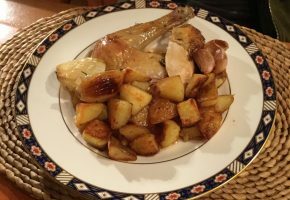 With good exposure and full maturity, the wines of Savennières are often higher in alcohol than other white wines of the Loire. A bit of a midweek treat for us we served it with a creamy seafood ragout (mussels, prawns, squid) cooked with white wine, cream, flat leaf parsley and garlic. It seems pertinent, having moved to a small village that falls within the geographical boundaries of the Vouvray appellation, to have a closer look. 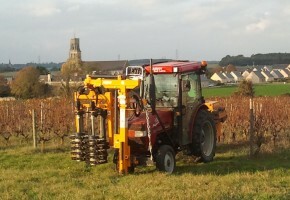 This machine is ‘pre-pruning’ the vines which makes life quicker and easier for the pruners to do their work later on. 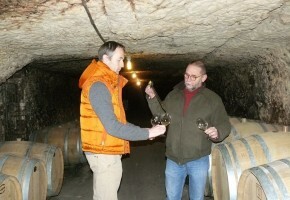 Marc Houtin created La Grange aux Belles in 2004. Former geologist, his passion for wine led him to change career and retrain in viticulture and oenology. Pickers picking, grapes arriving, press pressing, juice settling, Isabelle cooking, Joseph washing barrels, Jo surveying and Wendy welcoming – it was all hands on deck yesterday at Pithon-Paille. After 2 years with tiny yields (7 and 11hl/ha), there are plenty of smiles in the winery this year as volumes are up to around 25hl/ha (still low but much more encouraging) and grapes are coming in looking ripe and healthy. So, we’re living between two houses at the moment. We signed for the new one last week and are ‘commuting’ between the two doing some decorating. 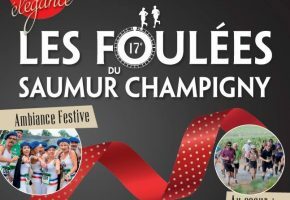 If you like to run and are in the Loire this September, the Foulées du Saumur Champigny is a lovely event amongst the vines. Runs of 9km, 17km and a troglo trail of 29km as well as 2 Nordic walking trails and much more.